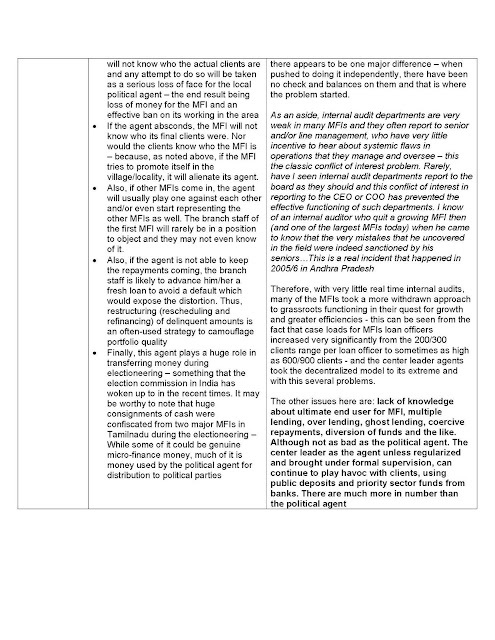 The recent RBI announcement with regard to priority sector being used for Micro-Finance NBFCs is a very welcome one and is much appreciated as I posted the other day. 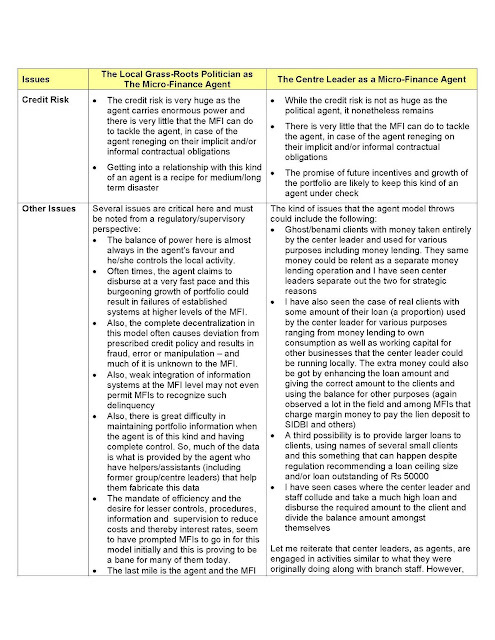 However, safeguards are needed to ensure that agents of MFIs do not misuse priority sector funds. 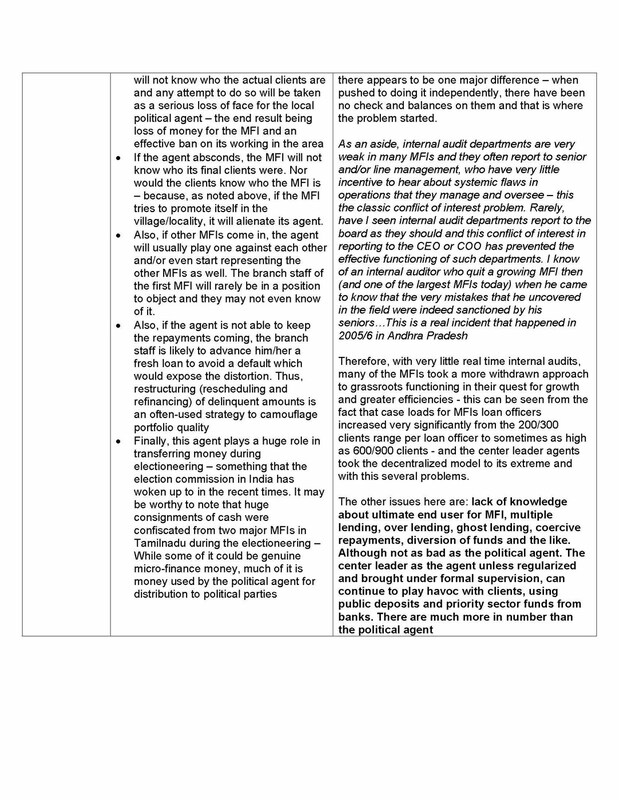 Thus, when coming out with the detailed guidelines, I hope that the RBI takes cognizance of two major agent led models prevalent in the Indian micro-finance sector. 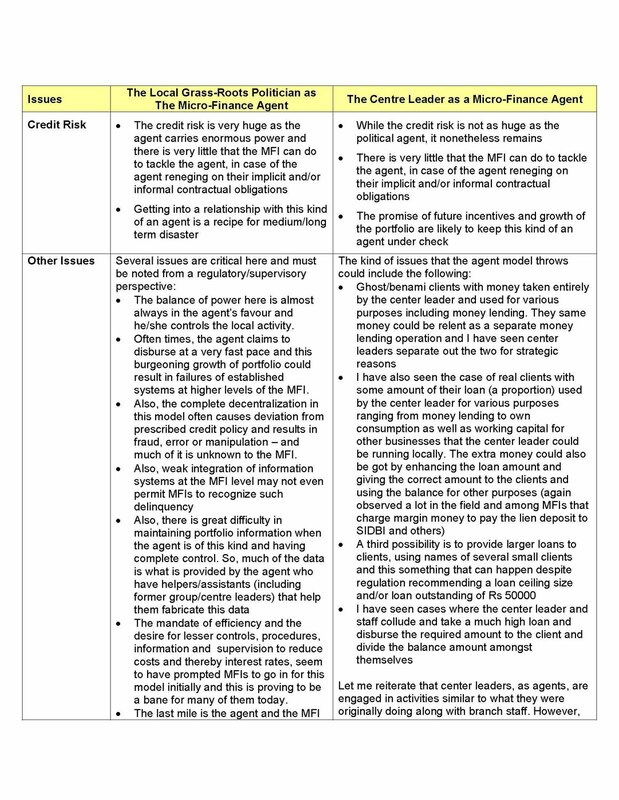 That apart, it is also imperative that the RBI looks closely at these models and builds sufficient safeguards against their use through supervision and other means and using various stakeholders including banks. 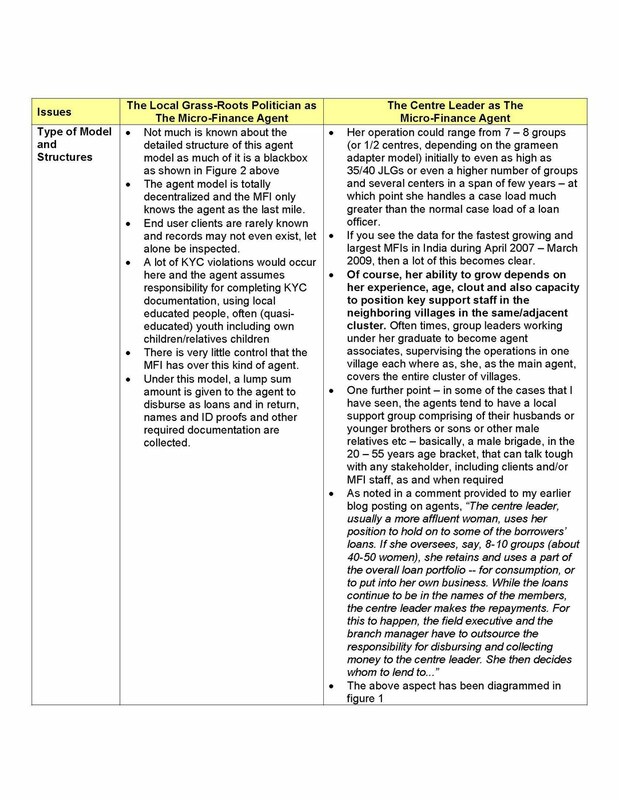 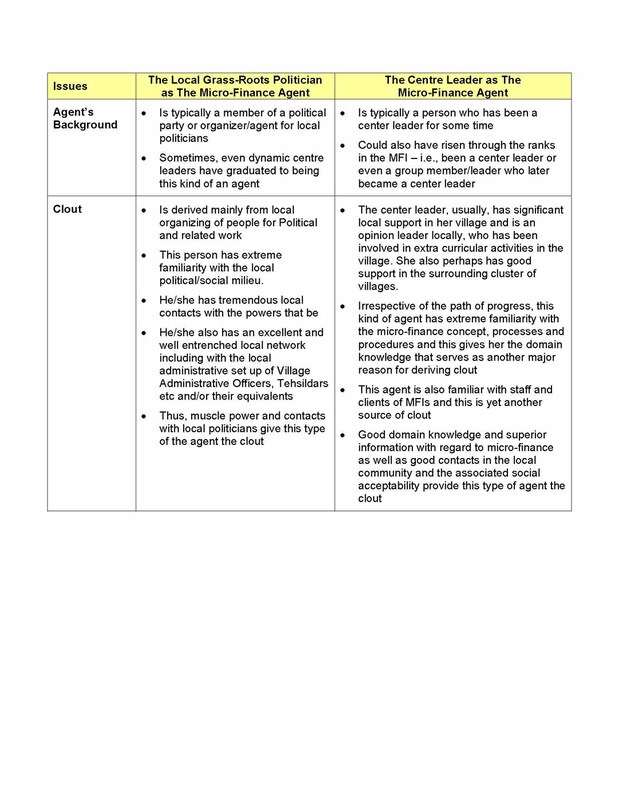 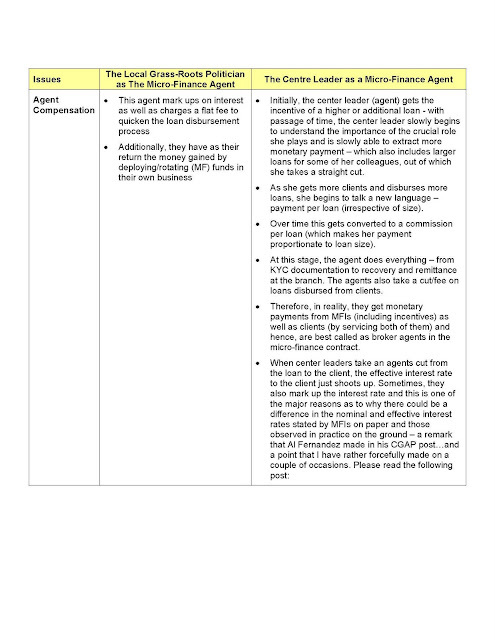 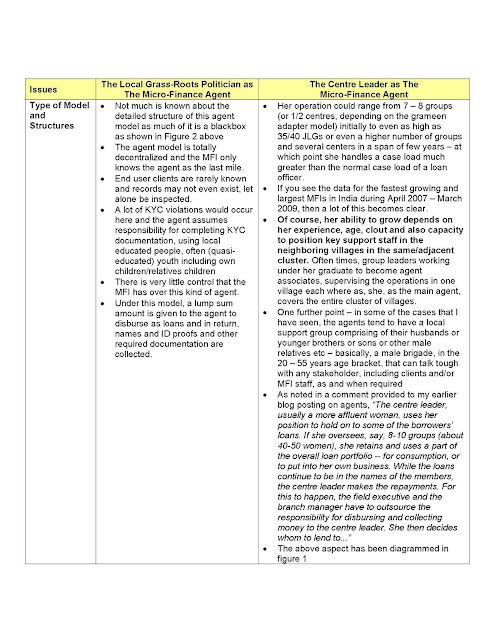 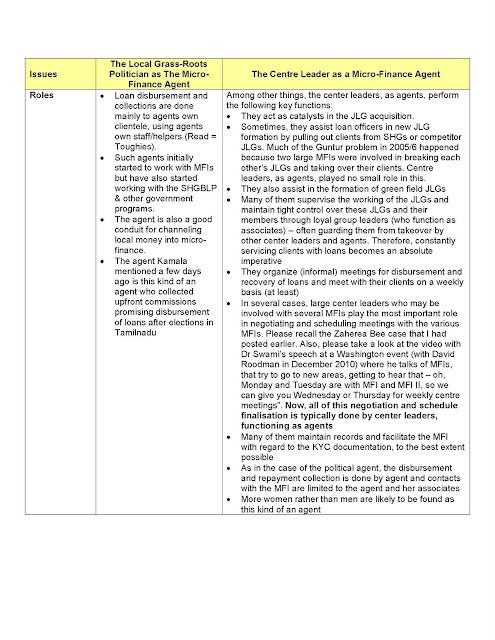 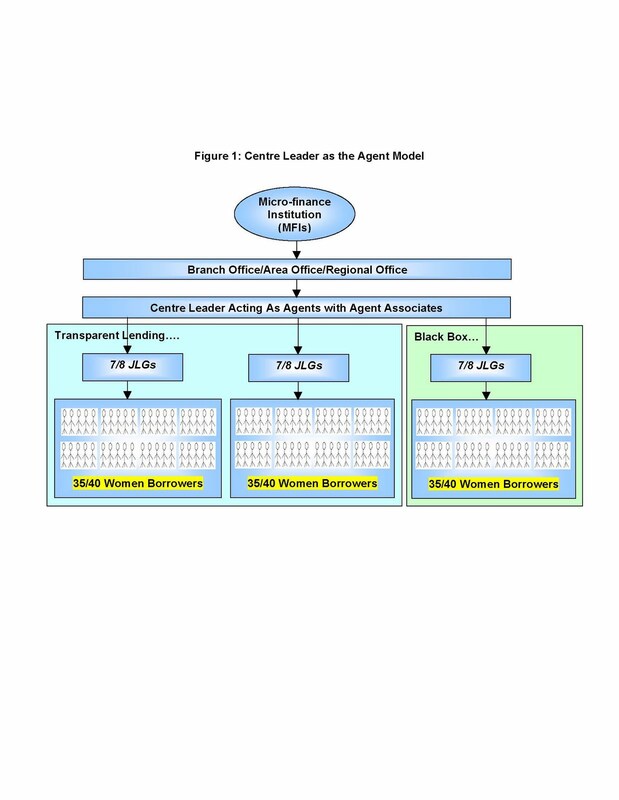 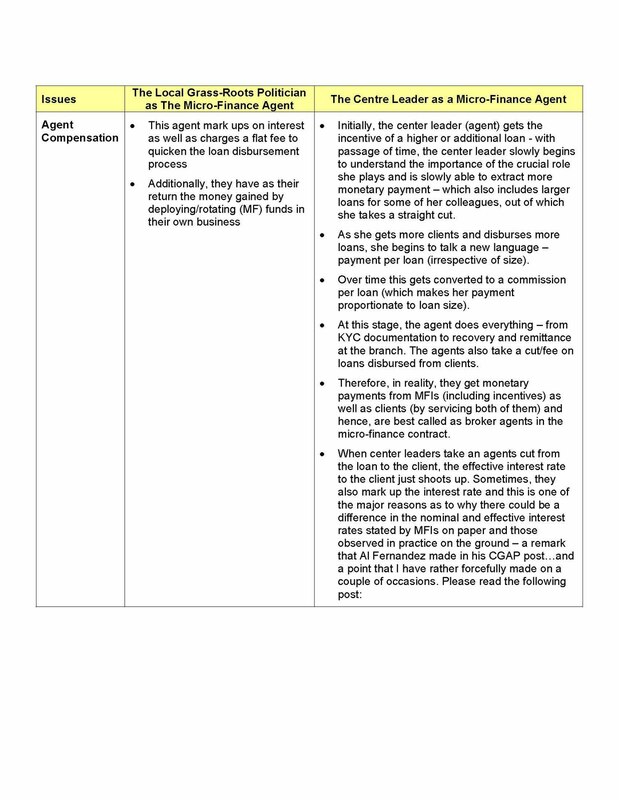 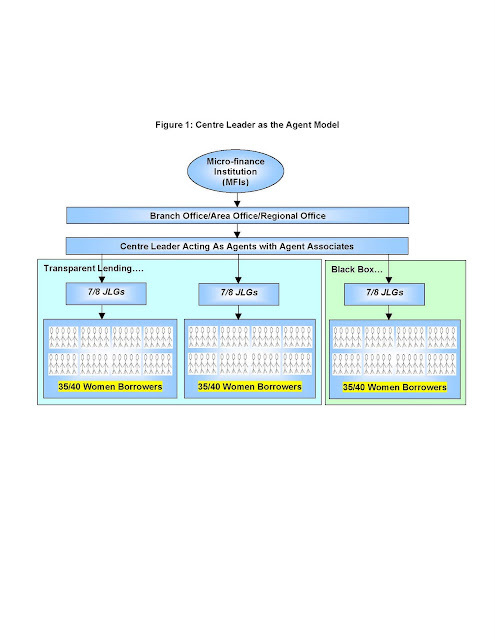 If this (building safeguards) appears difficult, a more practical approach could be for the RBI to consider streamlining and legalizing the Centre Leader Type Agent Model and building greater accountability into this type of arrangement - especially, if the RBI feels that this model can be fitted under the Business Correspondent regulations. 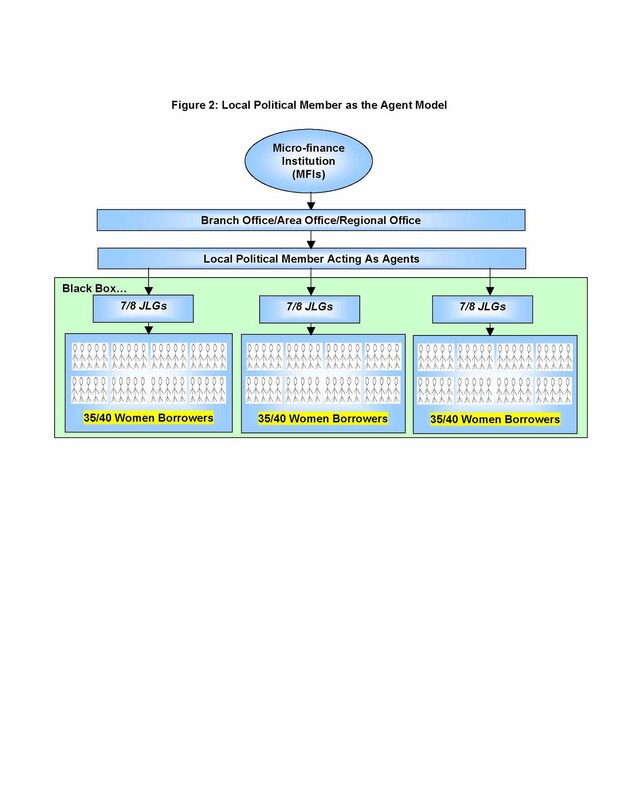 However, the political agent Micro-finance model should be banned without question. All of these are aspects that the proposed RBI committee on priority sector could look into and provide guidance on.